We are starting to feel the warmer temperatures here in Harford County which means spring weather is finally coming! That means it’s time to begin enjoying the outdoors, especially from the comfort of your own outdoor living space. When creating your dream outdoor area, be sure to not overlook important features like the level of privacy and maintenance, the amount of sunlight you want in the area and how much wind is directed to your deck. When you have a personal getaway in your backyard, you want it to be a place to relax—not an area of your home where you feel on display to the neighborhood. Enhance the privacy of your deck by tucking it within a secluded corner of the home’s exterior, surrounding it with fencing, or placing landscaping décor around the design. 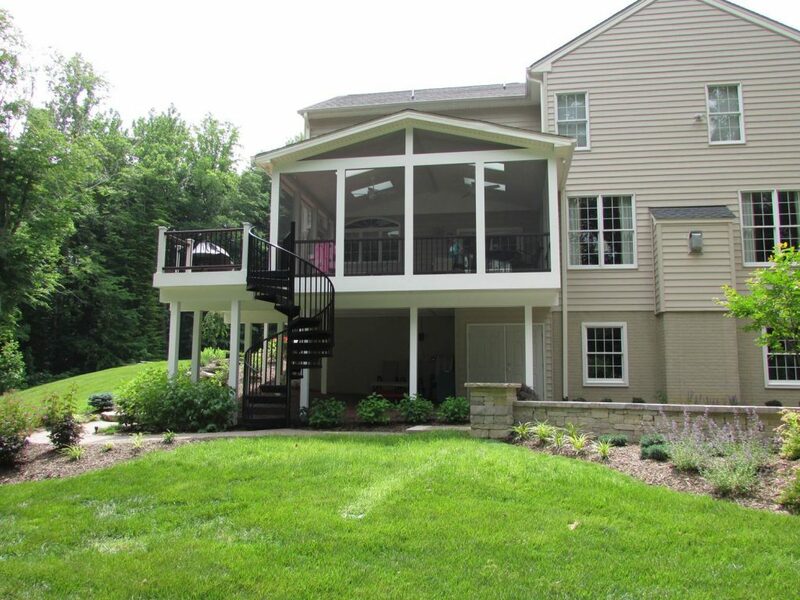 A low maintenance deck doesn’t mean you have to sacrifice form for functionality, you can have both! We have many choices of beautiful materials that also make cleaning and refinishing easy. For example, PVC coated composite decking like WOLF or Azek products do not require high maintenance, while pressure treated lumber will need to be cleaned, brightened, and recoated every two years. Cedar can also be a high maintenance material since it requires annual cleaning and sealing because of the wood stain used. All these materials are wonderful to use, we can assist in determining what will work best for your project. When picking the amounts of direct sunlight and shade you want for your deck, the decision should not be taken lightly. It will greatly impact your outdoor living space because sunlight or lack of sunlight can affect the level of maintenance you need to keep your deck in mint condition. 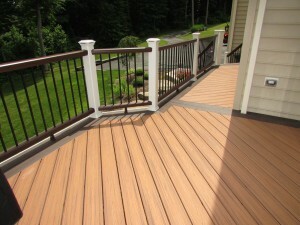 Of course, it also influences whether or not you can use your deck to relax or entertain. If your deck is hit constantly with sunlight, you may want to consider installing a pergola to shade the deck. This will help you stay comfortable and keep your deck and your skin from being severely damaged by direct sunlight. 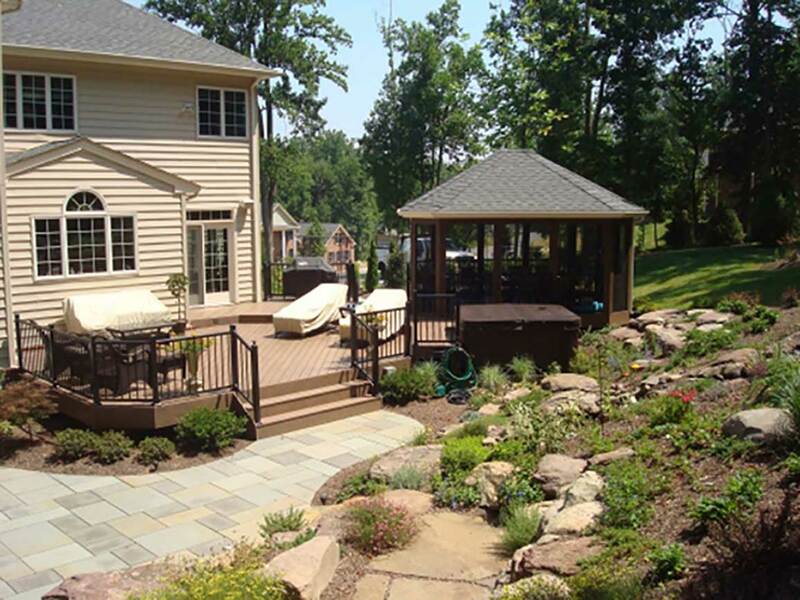 You can see a variety of sun and shade options for inspiration in our custom decks gallery. Feeling a nice summer breeze is one of the pleasures of having a backyard oasis, but too much wind can be quite chilly, even on a warm summer evening. Be mindful of this during the project planning stage. We can work to create a pleasant breeze pattern for your area by using a windbreak in your deck design.